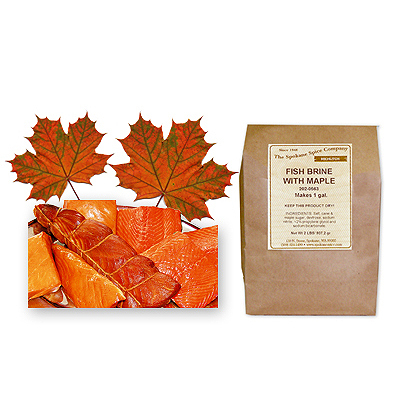 This two pound pack makes one gallon of brine for great tasting smoked fish with a hint of maple flavoring. Excellent brine for smoked salmon. Soak fish in brine for approximately eight (8) hours under refrigeration. After soaking, rinse fish in fresh cold water, dry surface, sprinkle with additional seasoning, if desired. Place in smoker unit until done - approximately 3 hours for 10" fish, longer for larger fish.